In today’s high-performing schools, William H. Sadlier, Inc. is the go-to publishing partner for your English Language Arts and Mathematics academic needs. For over 185 years, Sadlier has been dedicated to preparing K–12 students for success in academics with rigorous English Language Arts and Mathematics programs. Their traditional approach to teaching core curriculum content has been proven effective for decades in truly preparing students for the demands of college-level work and life. As a small, focused publisher, they work closely with customers to understand their unique needs and provide innovative solutions for instruction in the classroom and out. 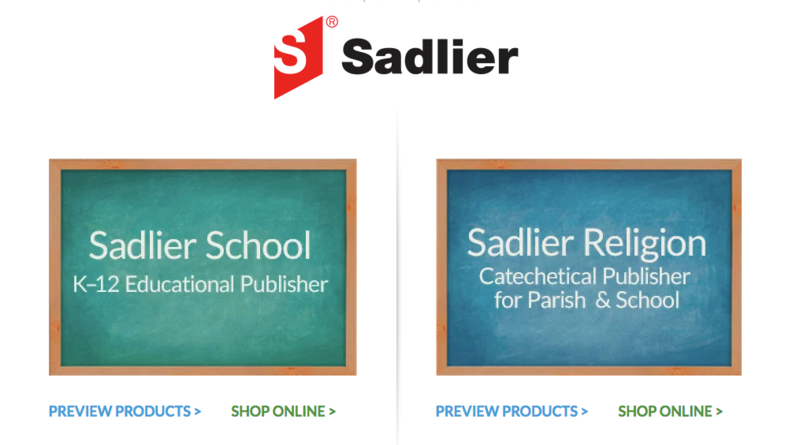 Sadlier offers a variety of educational solutions from print to technology — and it is the trust in the Sadlier quality that keeps loyal customers returning year after year. After Sadlier adopted a master inbound form strategy for content across their site, their forms started to grow in length. The bottom-of-funnel offer is to request a sample of their English Language Arts and Mathematics textbooks, so additional shipping information needed to be collected. A long form tends to deter website visitors from converting and these forms were causing issues with Sadlier’s page lengths and formatting of their site’s landing page templates. At the same time, they were dealing with a more unique problem, in that their bottom-of-funnel offer included sending out samples of their Mathematics and Language Arts programs. 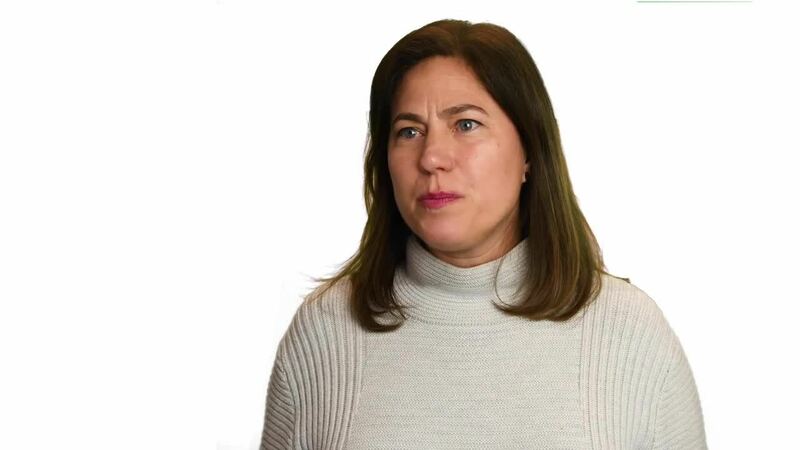 When unqualified leads, such as parents who were homeschooling a child, reached the bottom of the funnel and requested a free sample, Sadlier was losing revenue, as either this individual would receive the program they needed for free, or the Sadlier team would lose time on additional qualification. Sadlier initially partnered with New Breed Marketing back in 2014 to provide website strategy and support to their team. (At that time, New Breed assisted in the development and launch of their sales-ready website, which became on of the first websites launched on HubSpot’s CMS). With a strategic partnership already in place, Sadlier decided to work with New Breed Marketing again for help overcoming their BOFU forms challenge. While reviewing Sadlier’s form strategy, our team could see they were already following inbound marketing best practices. So what could we do to prevent these unqualified leads from reaching the bottom of the funnel? Shipping information to ensure the desired shipping address belonged to a qualified institution. Company details to ensure the identity of the institution. Persona-specific information to ensure the institution fit within their existing buyer personas. 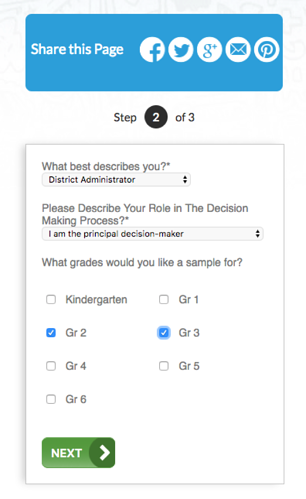 These additional fields on Sadlier’s forms would be required for the user, and help prevent a situation where homeschooling parents accessed free samples of their educational programs. But, these new fields also made Sadlier’s forms even longer. How could we still encourage qualified leads to complete the entire form while still keeping out unqualified leads? Our team proposed something called a multi-step form. 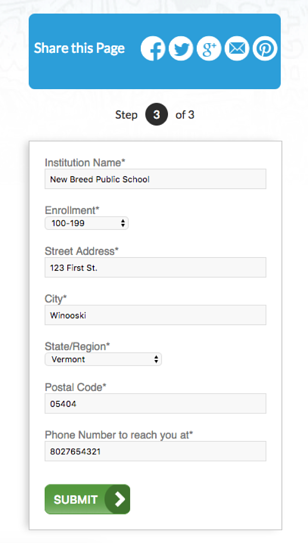 Rather than have all of the new form fields in one, lengthy form page, we would divide them up across three pages. But wait, it gets better. We would also set up smart criteria, so if the lead was deemed unqualified after filling out the previous page, they would be shown a break-up message instead of the next page of the form. We firmly believed a multi-step form process would hinder unqualified individuals without dropping the overall conversion rates of Sadlier’s forms. We implemented multi-step form to achieve several goals: space out lengthy form content, increase conversion rate and decrease submissions from unqualified contacts. In the 10 weeks after implementing them, Sadlier almost doubled the conversion rate of their standard forms from the previous ten-week period. Multi-step form saw a 38% conversion rate from Step 1 to Step 3 submission with only a 20% attrition rate from step to step. Of those 20% attrition contacts, 30% were unqualified contacts who now didn’t make it to a conversation with Sadlier’s sales team. This was a significant decrease in the number of unqualified individuals getting passed to their sales representatives. 217 orders completed since transition to new forms; however, with sales cycles lasting 8 - 12 months it will take time to measure ROI on the project. Our team tried something out of the box and discovered a new way to consider your form strategy. 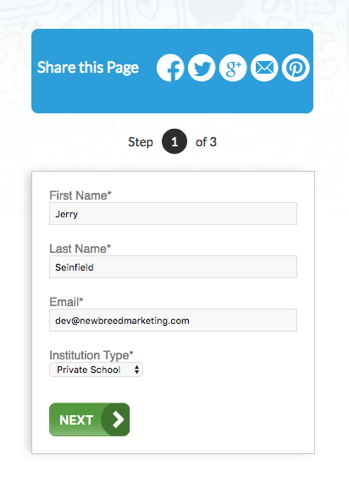 It’s become a well-known strategy to keep your forms as short and to the point as possible, but Sadlier’s multi-step forms blew their previous conversion rates out of the water. As long as you’re asking contextually relevant and important questions on your forms, the right-fit leads will still fill them out. With fewer unqualified leads getting routed to their sales team, Sadlier’s sales representative can devote more time to focusing on qualified prospects to close even more deals. Interested in accelerating your growth with the help of a Diamond-tier HubSpot partner? We'd love to discuss your unique growth goals and help you formulate a plan for achieving them in 2019. All you've got to do is reach out.